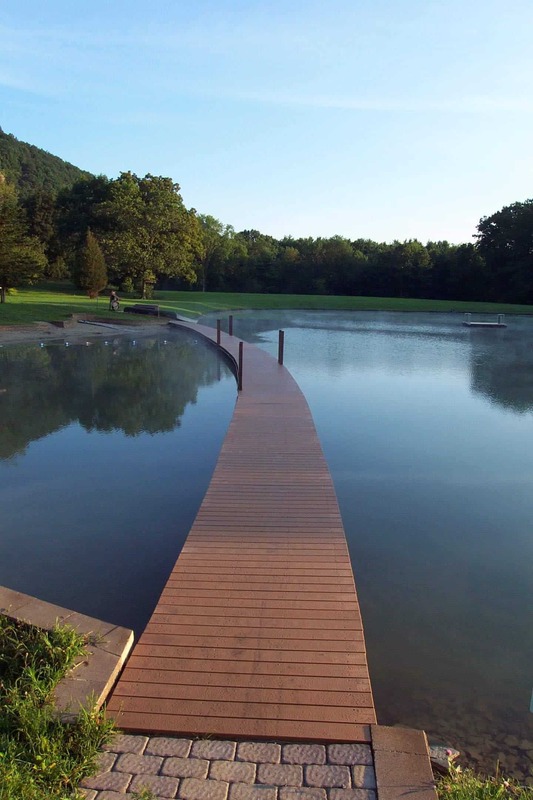 Docks are boardwalks or walkways that are constructed over a body of water, usually a lake, river or ocean. Common types of maritime docks are berthing docks, floating docks, and commercial and pedestrian piers. Wharves are a series of docks along a harbor that barges and vessels use to load and unload cargo. These structures must be durable and long-lasting as they play an important part in marine transportation and help keep the process smooth-sailing. 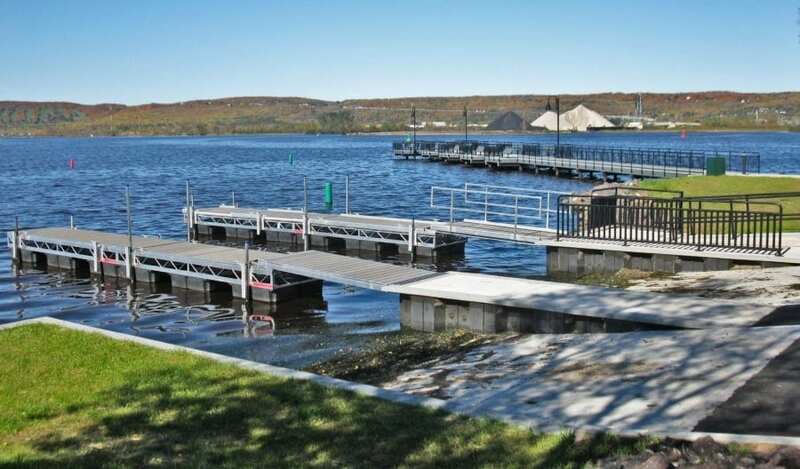 Important project requirements when constructing a dock or wharf include dimensional stability and the ability to hold up in wet environments, a reliable fastening system and aesthetic. Saltwater, and other chemicals in seawater can break down traditional building materials like wood, metal and concrete. When constructing docks and wharves, considering the foundation, soil and the potential for moving water or currents is important. Docks, piers and wharves receive heavy traffic, and in some cases, heavy cargo loads. Traditional building materials like wood, metal and concrete can fall short and require maintenance and repairs. Wood can rot and mold due to consistent exposure to moisture, concrete can break down due to compounds found in seawater, like calcium and potassium, and metal can rust and corrode. This breaks down the material, ultimately resulting in cracks, splinters and breaks. 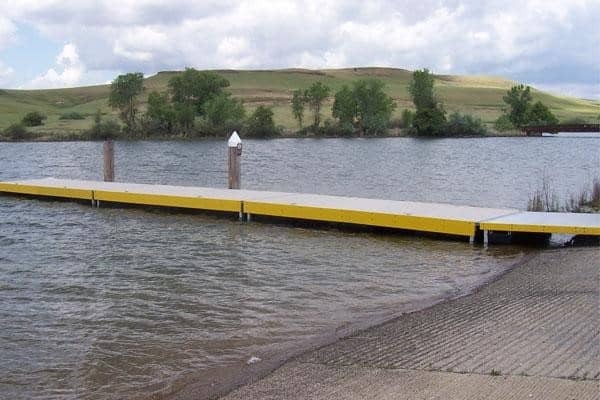 Using a structural and long-lasting building material like plastic lumber can save you maintenance costs and keep your docks, piers and wharves intact for generations to come. Bedford Technology products are sourced from recycled plastic and are non-polluting; they don’t leach chemicals that can harm marine life because they don’t require chemical treatment, unlike treated lumber. This is not only a benefit to the environment by keeping harmful chemicals out of the water, but it also helps reduce maintenance costs and increases the project life-cycle. Products created with Multi-X technology can also withstand heavy impacts by absorbing energy through recoverable deflection. Bedford Technology products offer coastal protection without damaging the environment and provide a durable and sustainable product that is impervious to marine borers. Protect the environment by choosing structural recycled plastic lumber, and increase your project life-cycle. Structural HDPE plastic lumber is a complete solution. From substructure including joist and stringers to deck boards and piles, plastic lumber is a durable building material that provides structural performance for each component. Bedford Technology plastic lumber helps protect the environment one milk jug at a time. So far, Bedford Technology has saved millions and millions of pounds of plastic from the landfill by turning it into a dependable building material that is recycled and can also be recycled at the end of the product life-cycle. What Bedford Technology Products for the Job? Bedford Technology products are engineered using Multi-X Technology and manufactured for marine-grade applications. FiberForce® by Bedford Technology utilizes fiberglass strands to increase rigidity. This added rigidity creates characteristics suited for many structural applications where a wider span, dimensional stability or increased flexural strength is required. Due to the increased strength and its resistance to environmental elements, structural recycled HDPE plastic lumber is well suited for dock, pier and wharf top-boards, and substructure components. 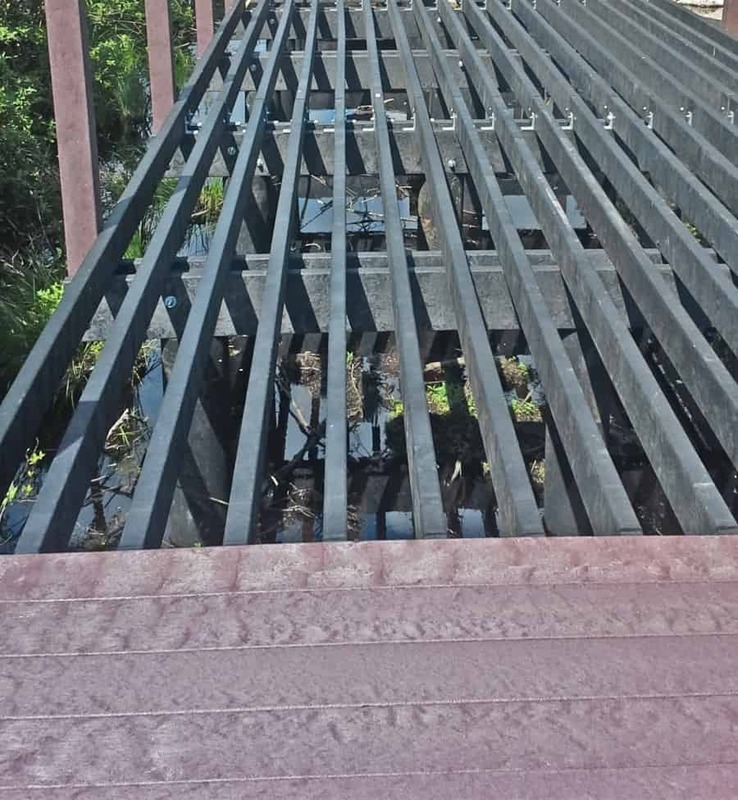 BarForce® by Bedford Technology is an industrial-strength commercial grade product that is reinforced with fiber polymer rebar which increases rigidity and dimensional stability. This product line is perfect for substructure beams that require additional structural integrity. SeaPile® and SeaTimber® by Bedford Technology, manufactured using the multiple extrusion manufacturing process (Multi-X Technology), these solid composite marine piles are fortified with fiber-reinforced polymer rebar, making it ideal for heavy-duty marine applications like docks and wharves. These structural plastic lumber products are resistant to marine borers, termites, fungus, salt, and oils. Available in up to 16” rounds, these advanced marine-grade product can handle even your toughest challenges.They can also withstand heavy impacts by absorption of energy through recoverable deflection and are totally non-polluting. This product is the perfect material for structural marine applications and comes in a variety of color options to match your marina aesthetic. Anchor Your Docks and Wharves with Structural Recycled Plastic Lumber! Contact us today to get started on your marine project! We are here to answer any and all questions you may have.